Need to Contact Bridgeport Engineering? Want to Support BEST Robotics? "Training Producers in a World of Consumers"
​​BEST is a design competition for 6th-12th graders that engages students in engineering, science and technology. Students learn problem solving skills using the Engineering Design Process, while also preparing them for the engineering industry. BEST began in 1993 when Texas Instruments engineers Ted Mahler and Steve Marum convinced Texas Instruments, Inc. to sponsor a robotics contest. Click HERE to learn more about BEST! Denton County BEST is back, thanks to the University of North Texas College of Engineering and Dr. Leticia Anaya! 19 teams will participate this year in Denton County BEST's comeback year. Bridgeport Engineering is proud to be a part of Denton County BEST! Game Day is October 20, 2018, at the UNT Coliseum. The contest begins at 8:00 and continues until 5:00 pm. Come join us for an exciting day. 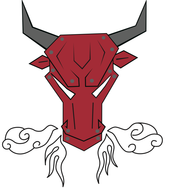 ​ Click HERE or HERE to learn more about Denton County BEST! 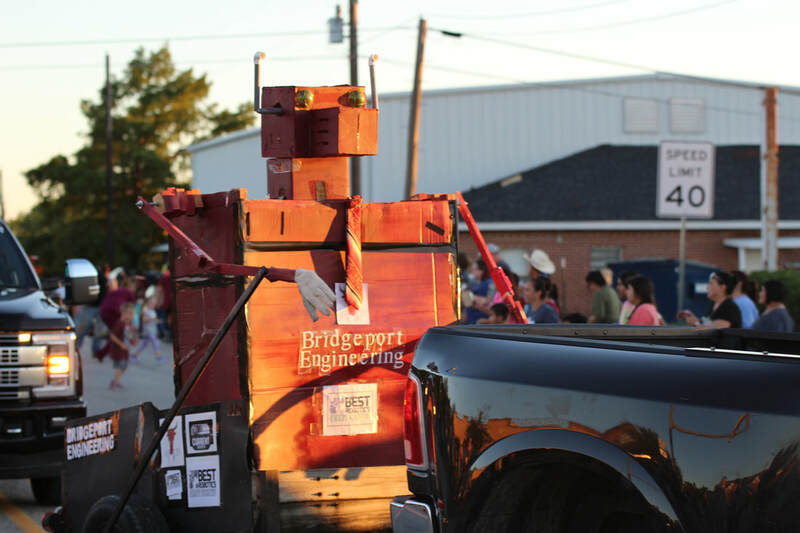 ROBOBULL rides again in the 2018 Bridgeport Homecoming parade September 24th. This was ROBOBULL'S third appearance and is a crowd pleaser with his wheel-pusher-driven arms. Click here to watch the video.